Do you give web site visitors the opportunity to download a free trial of your product or service with the intention that they will come back and purchase? How are you following up with these visitors? Asking them to fill out a form and immediately giving them the download on the next page is not the best way to generate a quality opt-in list. 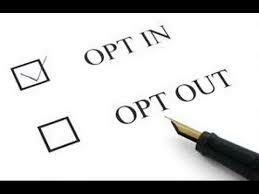 Collecting accurate opt-in information from these visitors is essential to follow up education and making the sale. Download giveaway opt-in conversion is extremely simple when done with the correct process. Unfortunately many businesses are leaving significant profits and subscribers on the table by using the wrong methods. This person has been given your download but you have not given them a reason to subscribe to your list. They might have given you a fake email address and in all likelihood did give you a fake email knowing that they just need to get to the next page to receive your information. Since you can’t follow up with them you might have lost a sale. subscribing to your list. Add value to your list by giving them compelling reasons to subscribe. Make it clear that the download link will be provided in the email they receive after confirming their subscription. On your thank you page (or redirect page) they are taken to after they fill out the form you need to provide information on verifying. Verified opt-in allows you to ensure that the person subscribing did so with his or her own email address and didn’t provide a fake or malicious email. Let the visitor know that they should check their email inbox. Tell them what the subject line of the email says so they know what to look for. Convey that they must click on the link inside to verify and receive the download link to your product.